Thank you for playing Destiny 2 with us! =VX9= was established over 17 years ago and is going strong today with over 1000 active members spanning a multitude of games. We have our own TeamSpeak, Discord, forums and host our own servers. 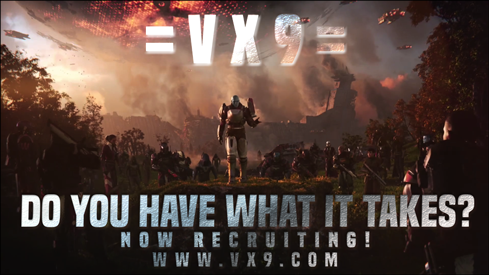 If you enjoy your experience gaming with us please consider joining =VX9= by registering a forum account and clicking "Join Us". Destiny 2 is live on PC! Keep in mind this is a general rule set, please follow the staff's instructions and ask if you have a question.